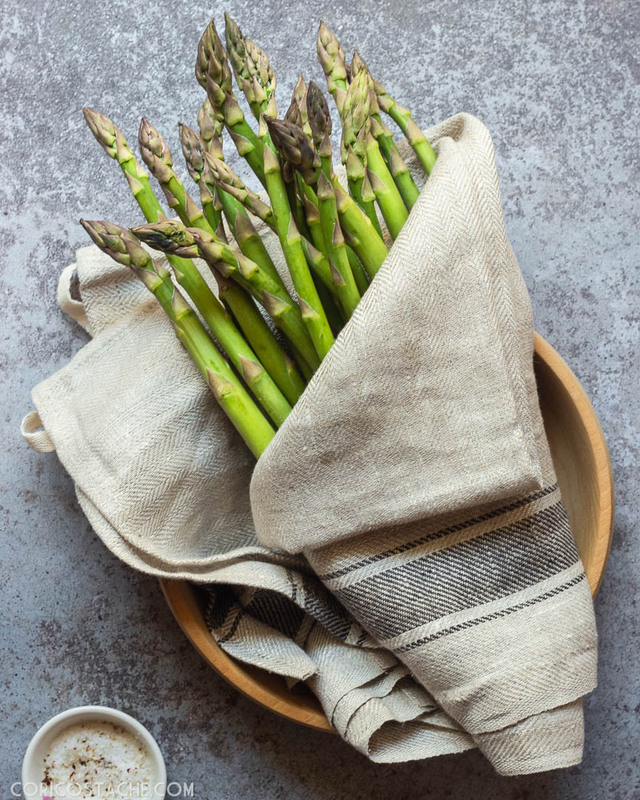 I don’t know about you, but I’ve been waiting this year’s asparagus for quite a while now, and it seemed that it won’t ever come out with all the prolonged winter we had. Phew, we are finally off the hook and we can enjoy all the freshness and green veggies nature reserved for us. 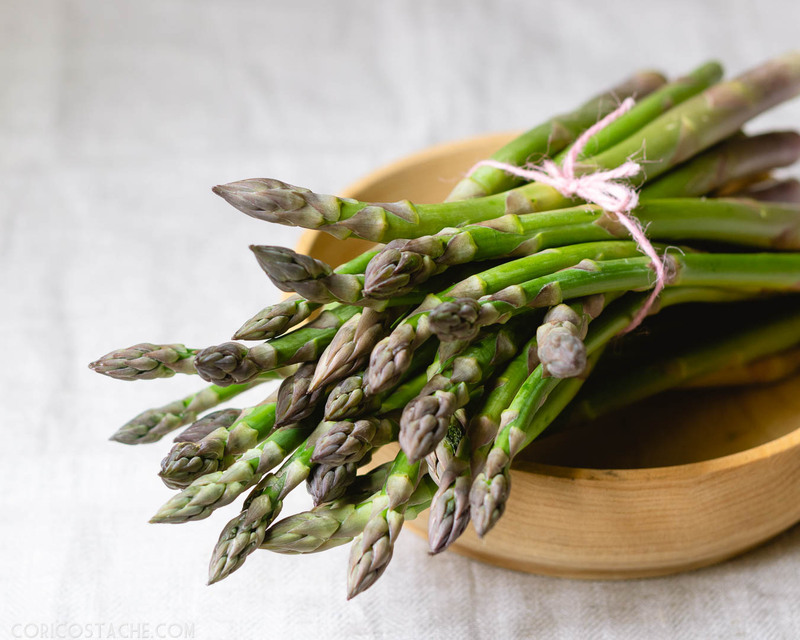 So here it is finally, fresh, crisp, tender and deliciously tasty ASPARAGUS which can enhance so many dishes, salads, sides, risottos, you name it. I decided to officially open asparagus season in my kitchen with a light and simple risotto which doesn’t ask for too much, just some fresh veggies, good white wine (because the one you drink goes into your food too, right? ), and a good chunk of parmigiano. The steps for the recipe are very simple, but you need to assign it a bit more time than usual, you know that there’s no good risotto without a continuous stirring, so bare with it for the love of this amazing dish. Also make sure you have at hand a good vegetable broth to enhance the taste of the risotto, and this is something that you could easily do at home with no fuss. Peel some carrots, an onion, one or two garlic cloves, and a few roots you have in your fridge, like celery and/or parsnip. Bring everything to boil with a bit of salt and oil, and here it is your homemade veggie broth, free of all the “enhancers” the ones in the supermarket have. Follow me through the steps of preparing this wonderful risotto and I’ll let you know all the secrets of making it so delicate and darn delicious. Remember that Italians want their risotto as “la onda”, a wave that slowly hits the shore. AMEN to that! Preheat a big sauce pan on medium heat. Add 2 tbsps of olive oil only when the pan is well heated. Remove the asparagus ends, and chop them in medium sized chunks. Set aside. 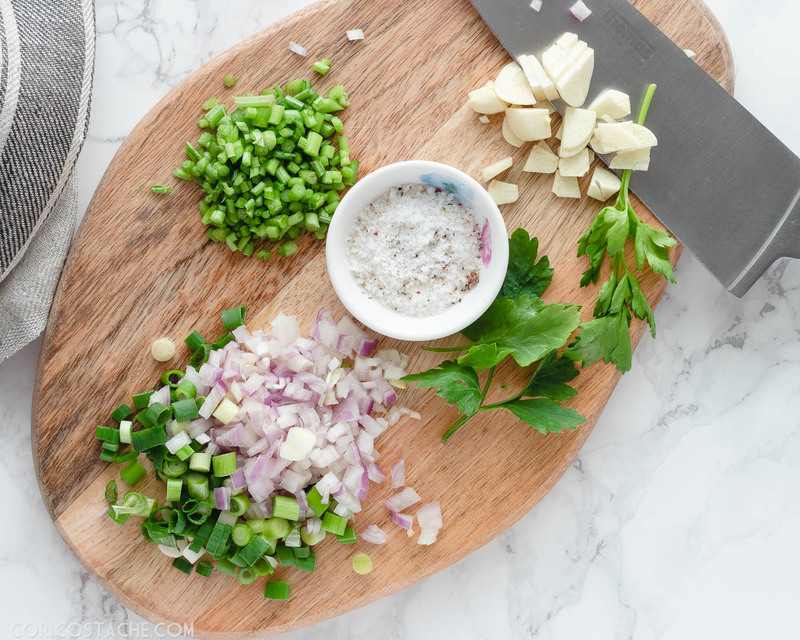 Finely chop the shallots, scallion, garlic clove, parsley ends and saute them in the sauce pan. One at the time, starting with the parsley ends and ending with the garlic clove. Add small quantities of water not to burn the onion, and also for avoiding the "fried" onion taste, as you are after a braised one. Cook for about 5-7 mins, or until the onion has soften. The garlic goes last, so it only needs 1 minute to soften and flavor the olive oil. Add the rice and cook it with the saute veggies for another minute or two, making sure not to stick it on the pan. Add now the prosecco or white wine and let it cook until the alcohol has evaporated leaving the rice and veggies a nice perfume. The amount of broth will vary, so be prepared to have enough of it at hand. In my case I needed about 12-13 ladles of vegetable stock, and this all depends on the rice you use. At the same time, with your other free hand 🙂 preheat an iron cast pan and saute the asparagus in the remaining olive oil. For about 7-10 minutes, making sure you keep its crispiness. Transfer the asparagus into the risotto before adding the last ladles of broth. The risotto should be done in about 30-35 mins, but start tasting it after 15-20 min for doneness, but in the end, the rice should be aldente. Put the lid on and let the risotto rest for a minute or two. As a final step, add some grated parmigiano, for an extra creamy risotto and serve immediately with a bit of lemon zest on top.